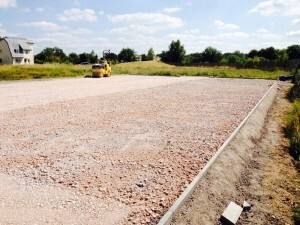 We have carried out many 5-a-side football pitch construction projects throughout the UK and one of our most recent jobs took place in Gloucester. 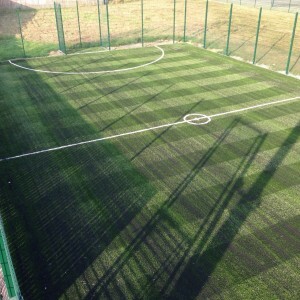 This project involved excavating a natural grass area and installing a state of the art 3G carpet to be used as a 5-a-side football pitch, as well as for multi sports and other activities. 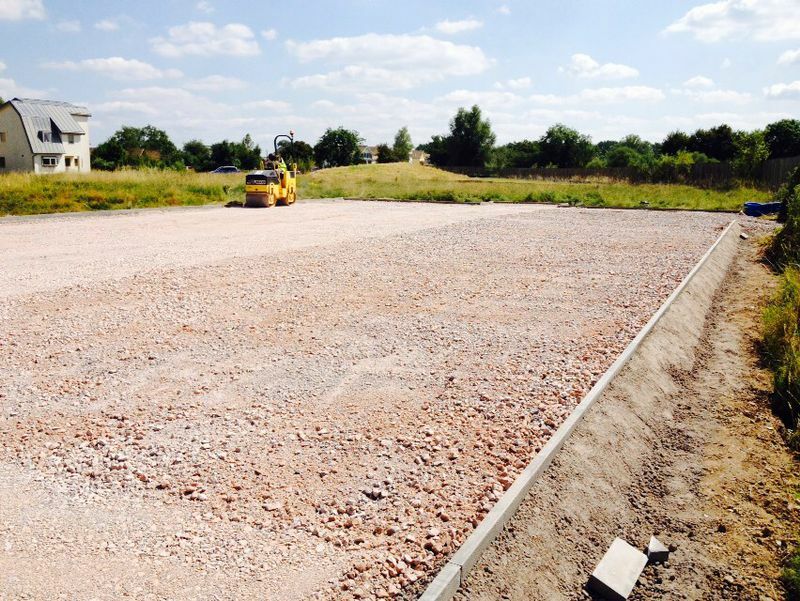 We began this Gloucester 5-a-side football pitch construction by preparing the existing ground so that it would provide a stable foundation for the 3G artificial surfacing to be installed. This involved excavating the area of natural grass which was currently there, as this could not be used as a sports surface. Once the existing grass had been excavated and dug down to the required depth, we installed a dynamic stone sub base. This type of specialist sports sub base is made with angular porous stones which fit together when installed to give the sports pitch a strong and durable base. The use of a porous sports sub base ensures that the end result of the 5-a-side football pitch construction is fully permeable and lets water drain through it instead of holding it on the surface. 3G synthetic turf is also specially designed to be porous so that the artificial pitch surface won’t get flooded or waterlogged as long as it has regular proactive maintenance. Once the angular stone sub base layer was put down, the next part of the 5-a-side football pitch construction was installing a macadam base layer to give a smooth and durable surface for the 3G turf to be laid onto. The specialised macadam sports base is also full porous and works with the stone to provide a durable and long lasting foundation for a 5-a-side sports pitch. After the strong foundations had been put down, we then had to install the 3G synthetic carpet itself. This was done by rolling out the turf in large pieces and then sticking it down onto the macadam with a special glue to keep it in place. 3G artificial grass gets its natural playing qualities through the installation of sand and rubber infill particles which keep the pile upright and enhance the playability of the artificial sports surface. We included this process as part of the 5-a-side football pitch construction to give the final pitch the best possible playing qualities and to ensure that it’s suitable for use over a long period of time. When all of the installation works had been carried out, the final 3G football pitch surface is a state of the art synthetic sports facility which can be used as a 5-a-side pitch as well as for other outdoor sports and activities. The client also decided to have specialist rebound fencing installed around the perimeter of the 3G football pitch to keep the area safe and secure as well as preventing equipment getting lost during training and matches. 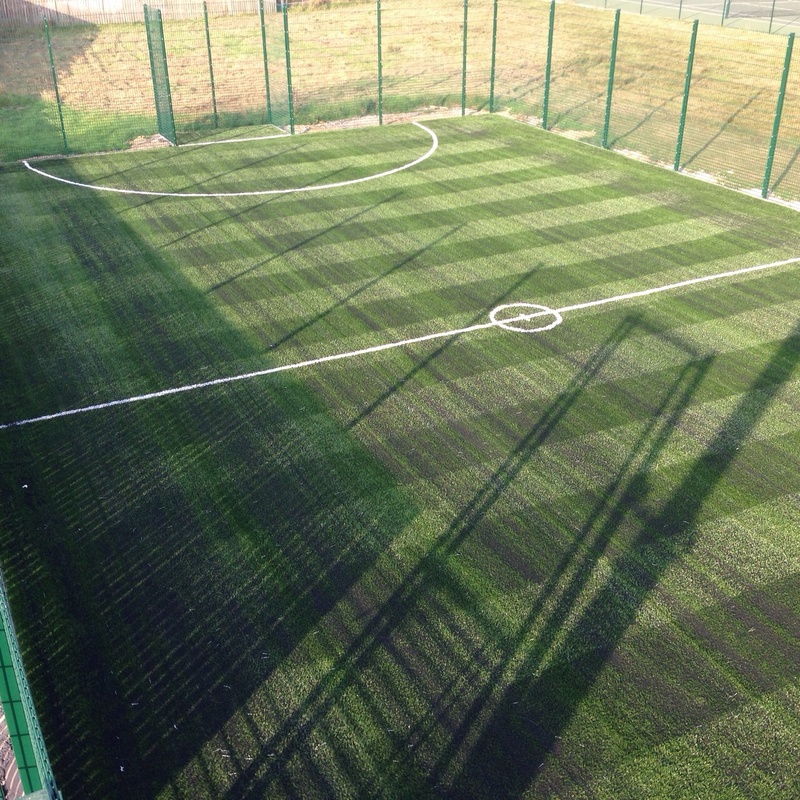 As specialists in the sports facility installation industry, we have done many 5-a-side football pitch construction projects in 3G grass surfacing across the UK. Our experienced staff can talk you through the whole process so please don’t hesitate to get in touch with us through our enquiry form to discuss your requirements. You can also take a look at our website at https://www.sportsandsafetysurfaces.co.uk/ which outlines the products we have and the services we specialise in for all different sports facilities. Would would be happy to answer any questions you have on 5-a-side football pitch construction so please leave a comment in the box below, and share this post if you thought it was useful!